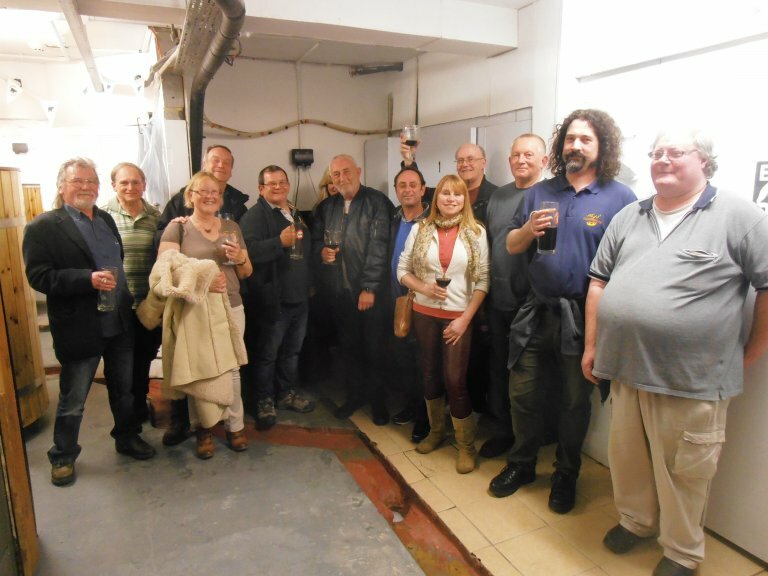 In April the Branch was invited by Beer.me Brewery at the Belgian Café on Eastbourne seafront to make a visit, a trip coordinated by Brewery Liaison Office Scott O’Rourke. We were welcomed by the owner Greg and brewer Damien. It was down to the cellar, shown in the picture, under the café bar to view the brewery and where the beer is stored ready for sale. Of particular interest were the ways in which the Belgian brewing and dispense methods differ from those used in Britain. Then it was upstairs again into the café where we were given beer and food samples which would be recommended to diners as suitable pairings. It was another trip with excellent hospitality for which branch members were most grateful.